Eastern Walk has a bit of history with me. It used to be the Asian Garden, a very well liked restaurant in Morgantown. But it closed, and another restaurant opened in its place: Eastern Walk. Melanie and I went here when it first opened - the very first day. The service was crazy, things were all out of whack, but that's to be expected on opening day. Some time had passed, and I decided to take Chris there for our second date. We wanted Chinese food, but a buffet on a second date isn't too classy. This is one of the few sit-down places in town, and it was a great dinner. The portions were huge and tasty. I decided to try it again with a friend. Eastern Walk is located on University Avenue, past Patteson, in a plaza near the hibachi restaurant. It's housed in the same plaza as Albasha Sweets & Fox's Pizza. Ample parking and pretty easy to get to. Also, it's just slightly out of the main stretch so very accessible, yet not overly crowded. We walked in, and the hostess/waitress seated us. I noticed it was fairly warm inside - maybe from the kitchen or maybe the AC wasn't working well, but I was definitely on the warmer side. We were handed menus, which were much different than I remembered. They were just one sheet, with a few various options: vegetable, chicken, beef, pork and shrimp dishes. This, I realized, is only the lunch menu. Interesting. At the top, it states you get soup and a type of rice. I'm not a fan of soup, but I opted for the hot and sour. I ordered general tso's with white rice. This is my go-to, in case you haven't figured it out. Our soup came out first, and I knew the odds were stacked against this. I tasted it - hot and brothy. But I had no interest in it, really. I tried it a bit - some things were floating around inside that I was unsure of. It just tasted like liquid beef - yeah, not appetizing. It tastes like watered down BBQ sauce. The great thing about general tso's, if done correctly, is the seamless merging of tangy, spicy and sweet. This sauce was, dare I say, almost bland. Which is really disappointing, because I remember it being good! It wasn't awful - I ate it. But the sauce was very disappointing. And the quantity was disappointing. Even the chicken wasn't of the best quality - with some chewy, stringy dark pieces. This meal was very average - I paid less than $10 including tip, so it wasn't a huge loss. Maybe the lunch is lacking, and dinner is better. Maybe it was an off day. But I hope to see what I saw before. If there's a Mexican restaurant synonymous with WVU students, it's Los Mariachis. It's really the typical staple Tex-Mex restaurant in Morgantown, and on any given night, you will see WVU students sipping on their classic margaritas. As I've said many times, Mexican food isn't my thing. Maybe it's because I've never had true, authentic Mexican cuisine, or maybe it's because I don't really like spicy things. 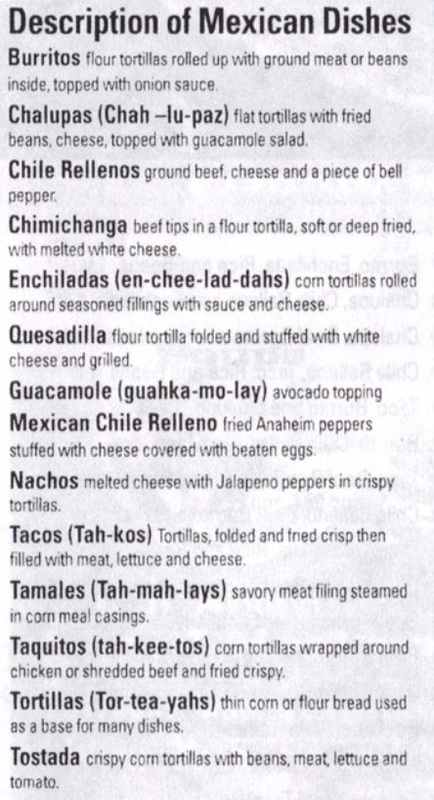 Maybe it's because the menu confuses me beyond belief (everything is meat inside a tortilla?). But I am always willing to learn and try and try again. One of my good friends (who happens to be Mexican), Kaitlynn, has a love affair with Los Mariachis. We decided to go there one Wednesday afternoon in celebration of her birthday. I've been here dozens of times, and I am okay with it. So, we ventured over to Chelsea Square on Van Voorhis. I do like that it's on the Evansdale campus, so parking isn't necessarily an issue. There's a large sign that says "Los Mariachis," and I've, surprisingly, never had a wait. This time, though, the interior had a makeover. It wasn't bright reds and oranges and painted cacti on the benches and walls. It classed up a bit. The seats were redone with more cushion in a dark, discreet color. The color was left to a few simple wall decorations, instead of splattered everywhere. I was happy to see this change, as the restaurant looks less tacky. As soon as we were seated, we placed our drink orders and looked through the menu. We were immediately brought a basket of tortilla chips and salsa - I love restaurants that include the complementary appetizer. I was hungry, so I chowed down. The sauce isn't hot, though you can ask for hot, and Kaitlynn got a side of the queso - which is creamy and delicious. For my main course, I knew I would get some sort of sampler, because I don't actually know what I like. Kaitlynn opted for a "pollo can crema," her absolute favorite dish. It is chicken strips cooked in sour cream sauce (queso) and served with rice, beans and tortillas. She knows her Mexican food and loves this dish - that should be enough for you. I, on the other hand, ordered the "Grande Special." It included a chalupa, chile relleno, enchilada, beef taco, burrito, rice and beans. I should have known this would've been enough to feed a family, as I ordered something similar at Mariachi Loco, but like I said, I don't know what I like there, so I got a little of everything. On the front of the menu, it says to order the "Special Dinner" to try a little of everything. It includes everything that I got, except it swaps out a burrito for a tamale. Well, I know I'm not a fan of tamales (too thick, doughy), so I switched it up just a tad with the dish that included a burrito. Anyway, our food was out scary fast. And the service is perfection. I think I needed two refills within 10 minutes, and our waiter was on it. The food came out, piping hot, and I had a miniature buffet in front of me. I started pointing to things and having Kaitlynn tell me what they were, but I just decided I should try them. I knew the taco, corn tortilla with meat - not too impressive, I could do this myself. The meat was so-so, and the hard tortilla was boring - where's the cheese, lettuce, tomato? The chalupa was also on the same plate - it's open-faced, and the guacamole and lettuce were everywhere, so I didn't even know there was a tortilla under that at first. It was loaded with guacamole - a little too much for me. It all was a little soggy, but it tasted fine. Not too impressed so far. I took some refried beans and rice from my other plate over to this one to add some more flavor. Then, it started to taste better. I liked the flavors of everything, I just wasn't blown away yet. The chile relleno was the last thing on this plate - and I really liked it! I thought a chile relleno was a stuffed pepper, basically. But this was like a little meat pie, with some cheese and a piece of pepper. It was very tasty, and I was pleasantly surprised. I really got hit with some flavor, finally, with the meat and cheese and little bite with the pepper. On to the next plate. This one had the rice and beans - I know that much. It must've also had the enchilada and burrito. I wish I could tell these two apart, but they both tasted similar.I believe the Enchilada was covered in the red sauce, which was tasty. And the burrito was in a cheesy/onion sauce, which was also good. They were both just tortillas with some ground beef inside. But for being simplistic, they were tasty. I scooped some of my rice and beans on the burrito and enchilada for some variety (maybe you're supposed to do this?) because then it was really hitting the marks. Maybe I do like Mexican food - I just need to mix all the stuff they give me together. But it's still ground beef, beans and a tortilla. But it was pretty good, for what it is. It's not my first choice to go to, but for TexMex food, I can dig Los Mariachis. For dessert, we split a fried ice cream. Who doesn't love fried ice cream? It even sounds cool. It's basically a giant ball of vanilla ice cream with crunchy, fried sweetness on the outside, topped with whipped cream, chocolate and strawberry syrup, all sitting in a tortilla-like shell. I really like the crunchiness on the outside of the ice cream paired with the creamy inside. This is a big dessert, Kaitlynn and I barely finished it. It's a nice sweet dessert to top off the dinner, and it's fried ice cream - who doesn't like that? Los is a good place to get Mexican cuisine in Morgantown. It's a staple for every college student. And though I didn't get a pitcher of margaritas this time, they're usually necessary with every meal. A pitcher will run you a little bit. But, one pitcher will be worth it. For both of our meals, our bill came to $30, not too shabby. Though many "cafes" are codenames for gambling joints, this cafe is home to Italian dining. I saw this restaurant on DubVmenus.com, and now that I'm trying to use FourSquare, I saw that it is very near my workplace. For lunch on Tuesday, Danielle, Henry and I ventured out to try something new. Located on Chestnut Ridge Road, this restaurant is pretty easy to miss. For the most part, it's a residential area, but there is one tall building that houses a few small business - a nursery, a store, etc. And, we just found it, it houses a restaurant. Mr. C's Wiseguy Cafe has the left-most spot in the building. There is a large banner on the front of the building and a window that says "open." The front door, however, is not on the front, but on the left side of the building and in the basement. So, if you're looking at the front of the building, turn to your left and go down the stairs. There are a few plastic signs that say "Mr. C's Wiseguy Cafe," so they should somewhat lead you there. The door was open, and a sign said "seat yourself" was placed at the front. There was no one inside, except two workers, and the only ventilation was a single ceiling fan. I was quite warm the whole time. I picked a table to the right that was large and comfy. The inside was very cozy - oversized leather seats were very welcoming. The tables were large and roomy. A large corner table had a continuous seat, where at least 10 people could eat. At our table, there were two leather chairs and a wider leather bench, that I opted for. I really like the interior - it's classy but very cozy. The menus were already placed on our table - two laminated ones. It was a little awkward that they weren't binded somehow, because we each kept flipping both over back and forth. The menu has typical fried appetizers, some soups and salads, hoagies, sandwiches, pasta dishes and entrees. I settled on a house salad first. It arrived fairly quickly, and I was impressed. It was piled high with lettuce, cheese, large chunks of tomato, cabbage and croutons. On the side was a heaping cup of French dressing. The veggies were fresh, there was a good mixture of all veggies - it wasn't just a pile of lettuce. The French dressing was tasty, tangy and everything a French dressing should be. This was a very good salad, and for only $4, I was eager to see my main dish. The pasta comes at a price, but if this is an Italian place, I'm trying the pasta. You get to pick your pasta: rigatoni, spaghetti, angel hair, or linguini. And if you want marinara or alfredo, it's $11. If you want the bolognese sauce, it's $13. Want a meatball? Add $2. Want chicken? Add $3. Want shrimp? Add $4. It's very custom, but at a price. You can get exactly what type of pasta dish you desire, but if you want all the fixins, you're going to have to pay for them. One pasta dish could add up to $20 fairly quickly. Instead of going all out, I opted for rigatoni with marinara sauce and a meatball on the side. $14, I could handle. When the dish came out, one thing crossed my mind: I will not go home hungry. This is the biggest portion of food I think I've ever received. It is a ton. The rigatoni noodles are short and wide. They were fully cooked - I tend to prefer mine slightly al dente. The marinara sauce didn't impress me. It wasn't bad, but it wasn't very flavorful. It tasted like a bland marinara that I could've made, but the meatball was seasoned well and quite tasty. But I can't really say anything bad about the dish - it was overwhelmingly huge, the meatball was very flavorful, and the pasta/sauce was average. I can see why the prices are a little high - it's a huge portion. We were also served a small basket of warm bread - the outside was a bit too crunch for me, but it was nice to have a bread to balance out the meal. To top it off, the to-go containers we received were pretty sturdy (they must need those to-go containers a lot), and I think I can even reuse it. Not only did I have leftovers for dinner, and lunch and dinner the next day, but I have a container I can use again. I will definitely try this place again, and it is very new, so there's a great possibility they have a few kinks to work out. Check out my review for DubVmenus, too. This High Street staple is a favorite to locals and college students alike. Maybe it's the novelty, or maybe it's because everybody likes ice cream. Regardless of the reason, you aren't a true Morgantowner if you haven't tried Tutto Gelato. Gelato is Italy's version of ice cream. According to Tutto Gelato's website, it has three main differences. "Gelato typically contains less butterfat compared to ice cream. Premium ice cream adds air to the product which double the quantity. Lsss air is added to gelato, creating a higher quality dessert wit ha richer, creamier taste. Gelato is served five degrees above zero, compared to ice cream which is served ten degrees below. This enhances the overall flavor of gelato as it melts in your mouth." A gelateria is a pretty cool addition to the Morgantown scene. I doubt there are many in the entire state, so it's nice to see something different. However, about a year ago, I was in Italy, and eating gelato was my main hobby. Because Italy is the birthplace of this divine treat, it's hard for me to compare the two without being biased in Italy's favor, but I'll try to rank according to local settings. The location is easy, but parking is usually a nightmare. If you can snag a spot on High Street or walking down from campus, it's no problem. You walk up to the counter to order - they usually have 18 or so different options to choose from. They change often, but they have a special, fruit kinds, chocolate kinds and other creative variations. If you're a student, you get a 10% discount, and if you check in on FourSquare, you also get another discount. Once you decide on a flavor, you pick which size you want: piccolo, bambino, medio or generoso - from smallest to largest. I opted for a bambino size of a peanut butter, chocolate chip mixture. It comes in the small cup with a fairly flat spoon. Don't expect creamy ice cream from a gelato place - instead, Tutto Gelato is nearly melting as you spoon it into your mouth. It's almost an icey texture, not necessarily smooth, but more like a cross between ice cream and a snowcone. My flavor was decent - the chocolate was like hardened dipping chocolate, as opposed to small chocolate chunks. The flakes tasted as though they were dark-chocolate too. The peanut butter flavor wasn't overwhelming, but just enough to give it a hint. But overall, the gelato wasn't bad. It's a nice cool treat for summer with fun flavors that you can't just get anywhere. And, it's different. The service was super friendly, and you can even get samples if you're not sure what to get. Check out my post at dubVmenus.tumblr.com. I've said it a few times, and I'm sure this blog post is way overdue, but DiCarlo's is the best pizza there is. Period. It may have to do with the nostalgia aspect for me - DiCarlo's was a rare, albeit delicious, treat in the Nelson household. Feeding our family and whatever friends I had over that particular day could cost you upwards of $50, which wasn't easy for us to come by. We would get a tray of pizza, which is usually four boxes - (28) pieces total with extra cheese and mushrooms. Simply amazing. Though we only got it a few times a year, I couldn't wait for DiCarlo's days. Morgantown is void of my beloved DiCarlo's, so every time I visit my hometown of Wellsburg, it's a must-visit place for me. DiCarlo's is located in northern West Virginia, Ohio and Pennsylvania. There is a local rivalry about which DiCarlo's has the best pizza because they are all slightly, slightly different, but in my opinion, nothing can come close to Wellsburg's. Located right on Commerce Street, DiCarlo's is the classic, old-school pizza place. They're only open in the evenings (they only have to be), and they only take cash. You can call ahead to order, but it won't make a difference - they probably won't start making it until you arrive anyway. On Saturday, Kristen and I stopped into DiCarlo's as soon as they opened, 5 p.m. The parking lot is tiny, and if you're a regular, you know you are supposed to park at an angle so more cars can fit it. But usually you'll have to find a spot along the street or an adjacent parking lot. On this day, there was one woman walking out as we walked in. I have never been to this place when it was empty before - must go as soon as they open again! When you walk in, you aren't greeted, you aren't waved to - you just get a look of "yes?" And that adds to its charm. The man behind the counter simply greeted me with a surly stare. This wasn't my first rodeo, though. I looked at the chart on the wall, which is the only indicator of their prices. I figured out how many slices I could get for my $10. Which happened to be around 12 slices. So, I asked for 10 regular slices. He wrote it down, without a word, and looked at Kristen. Kristen then ordered, and we took a seat. DiCarlo's only has two fairly small, uncomfortable benches. On a regular day, these are taken up, and many people are found standing outside. Since it was just us, we sat down and waited. The pizza was done within five minutes - the quickest ever. And, they don't know your name, nor do they care. Instead, from behind the counter, you hear "12 regular" and I knew that was my cue. I walked up and paid. They assume you know how much since the chart is right there (the chart includes tax), so no words are exchanged. I took my two large, steaming cardboard boxes home and let the excitement overcome me. Keep in mind, I haven't had this in months. I really like the charm of the old-school Italian pizza place. I like the surly attitudes and the unfriendly men behind the counter. You're not paying for their service. Your paying for the best pizza you'll ever have. They know if you're a local or not, and their lack of speaking is a sign of respect - you know what to do when you're in here. When I got home, I uncovered my first box of pizza and chose a middle piece and a side piece. The pizzas are square, so there are three different types: middle pieces without any crust, side pieces with just the crust on the edge and corner pieces, which have crust on two sides. Though I usually get extra cheese, I wanted my buck to go further, so I opted out of the extras. My slice of pizza was topped with their delicious tomato sauce, slightly spicy and slightly sweet. The hot crust is then topped with cold provolone cheese, which is just melted perfectly. It doesn't get greasy like most places. Then it's topped with soft pepperoni. No crispy pepperonis here, that form into little grease cups. This pizza is perfect. The ingredients are as fresh as you can get, and you can see the time and effort the cooks take in preparing this delicious meal. The sauce contains just the right amount of spice, and the cheese is fresh and flavorful - the good stuff isn't all fried or baked out of it. The pepperoni is quality meat. The best thing about DiCarlo's? It tastes just as good cold for breakfast the next morning. You can't go wrong. I've been to Italy, and I'd choose DiCarlo's over that pizza. It simply can't be beat. Drovers is about one mile from the house I grew up in. Despite its proximity, I rarely went because my family couldn't afford it. But, I know it's a legend in my hometown and the surrounding areas. People travel from all over for Drovers' wings. I'm not a huge fan of wings, so I had actually never had them until this past weekend. I met my cousin, Chelsey, and good friend, Amanda, here on Friday as soon as they opened, 5 p.m. Drovers has some history behind it, as it used to help travelers. There is also an accompanying historic building beside it, which I believe now is used as a lodge. Because we were there so early, we were seated right away. The house has a few dining areas, a blue dining room, a red dining room, sitting room, back area, and the basement is the tavern. We were seated to the left, in the blue room. There are glass vases and ornaments placed on every shelf, and the room is decorated quite classicly. At the table is already a bowl with moist towelettes and napkins inside. I browsed my menu and decided on the honey-BBQ wings. I ordered one pound, which is 7 to 9 wings = $5.75. I also ordered a tossed salad for $2.99. Maybe it's because I'm used to Morgantown prices, but I thought this was more than reasonable. We waited a little while for our food to come out. My salad came out before anything else, and I was happy because I was starving. Complete with a cup of orange French dressing and a garlic stick, the salad was packed with lettuce, tomato, olives, cucumber and some cabbage. I was a little hesitant because the French dressing was orange, but I tasted it, and was pleased. It was creamier, not as acidic, and just a touch tangy. The veggies were average, and the garlic bread was a nice touch on the side - soft and warm complement to the salad. Finally, our main dishes came out. My wings were served in a small basket, along with the ranch I had asked for and a celery sticks. I wasn't extra, as other reviewers have said. Thank goodness I was in the company of good friends because I probably looked like a monster trying to down the wings. I usually don't order wings because I hate seeing a bone in my food - prissy, I know. But, on a certain level, it grosses me out. Also, it's really difficult to eat without looking disgusting. This is the first time I've ordered bone-in wings in I couldn't tell you how long. I do like boneless. But these wings are legendary, and my friends know I'm ridiculous, so I dug in. The wings are excellent. I was so happy I wasn't let down since they were talked up so much. There was a good mixture of drumsticks and wings. The wings are fairly large and the outside was crispy. I usually peel off the skin, because the texture is gross, but these were cooked perfectly. The meat inside was tender and juicy. The sauce was divine - this wasn't a typical honey-bbq sauce you buy at the grocery store. It was delicious. It was sweet and tangy and a little spicy, but overall delicious. It was definitely one of the best wings I had ever had. I took full advantage of the moist towelettes, as the sauce was everywhere. But it was more than worth it, and I was happy to pay my $10 for that meal. You won't find another deal like that anywhere around.